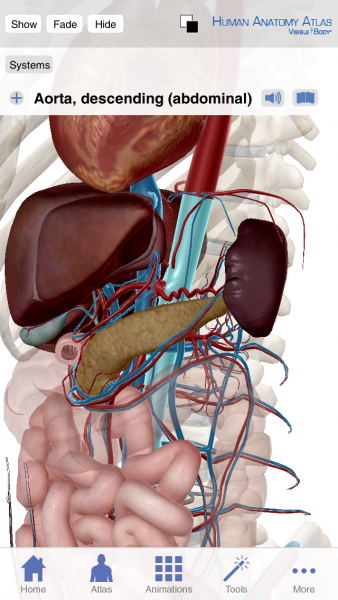 Visible Body is one of the top 3D anatomy apps available for the iPad/iPhone. iMedicalApps has always been a fan of these 3D apps as we feel they offer the unique ability to visualize complicated 3D anatomical structures. When we reviewed the earlier versions of Visible Body’s Human Anatomy Atlas, we were very impressed. 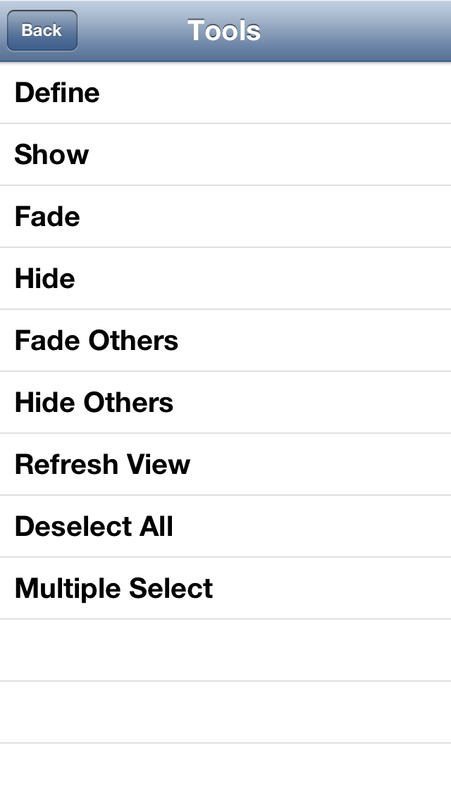 However, one of our major concerns has always been the lack of micro-detail available within these apps. 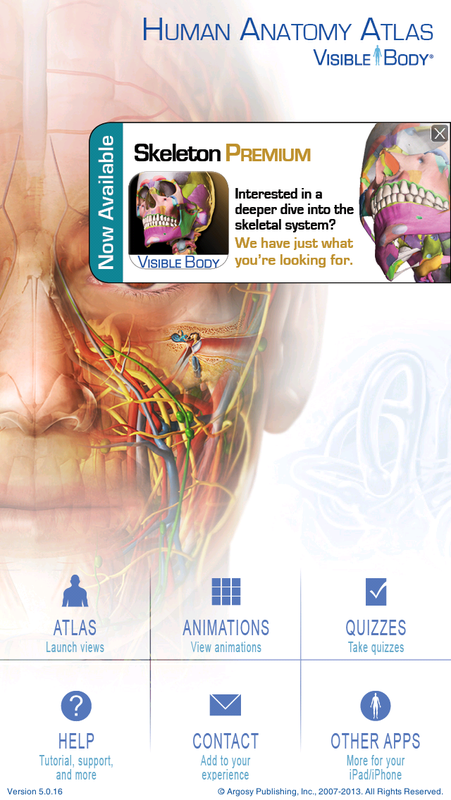 Human Anatomy Atlas by Visible Body has now undergone a major overhaul. It now contains an impressive update focusing on microanatomy and increasing general anatomical detail. The update to Human Anatomy Atlas takes all the features from earlier versions and combines them with a new level of detail. These are accessible by simply browsing the menu structure either by system or by anatomical region. The app continues to take advantage of touch gestures to manipulate the models. Users can pan, zoom, fade, hide and identify structures by simply tapping on the structure. The quality of the graphics continues to impress through each version. 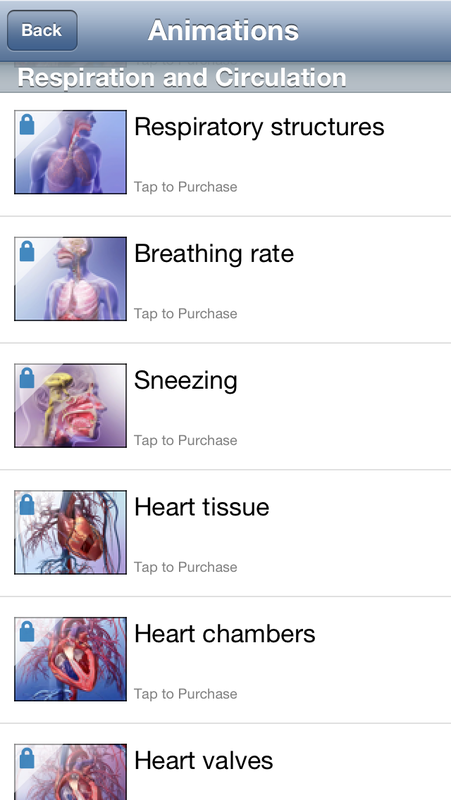 Version 5 also brings a wealth of animations on common anatomy and physiology, although the majority of these require an in app purchase. Educators may find these useful to highlight key concepts. This detail is fantastic and unseen in previous versions. Structures are clearly identifiable. One point to note is as the level of micro-detail increases, the app will not display the larger body structures. 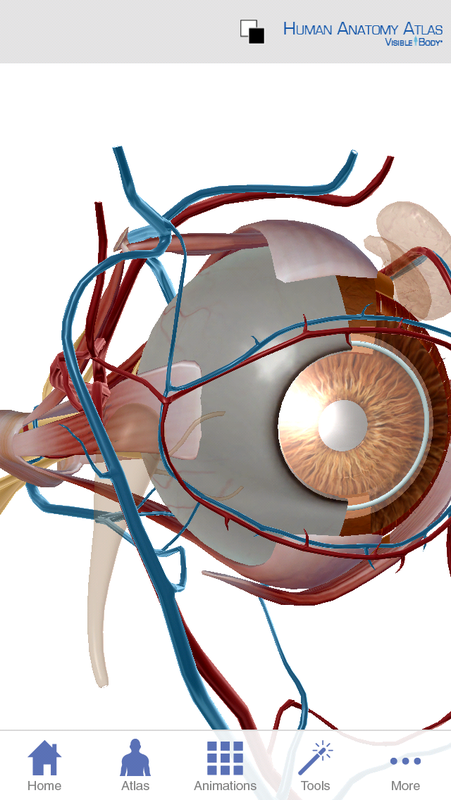 A great example is the eye (shown in the screenshot) which is shown as an independent object as opposed to that level of detail combined with other gross anatomy details. The latest update to Visible Body Human Anatomy Atlas highlights the impressive work going into developing 3D anatomy education resources for mobile devices. The impressive graphics and micro-detail ensures that this app will remain valuable to educators, students and healthcare professionals alike. I’m trying to compare/contrast two “Visible Body” apps. “Muscle Premium” has 3D muscle action animations for each muscle group, which I like. Does “Human Anatomy Atlas” have this same 3D muscle action animation? 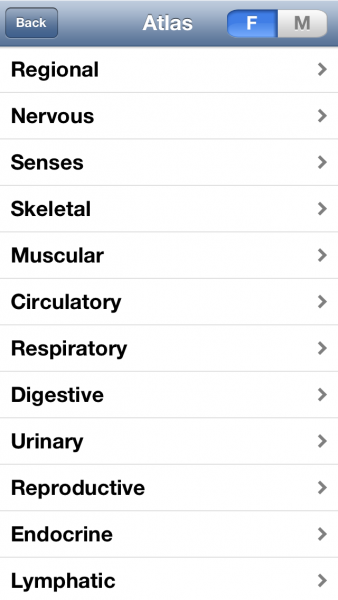 I am a first year medical student dealing with anatomy and physiology in detail. I have an iPad. 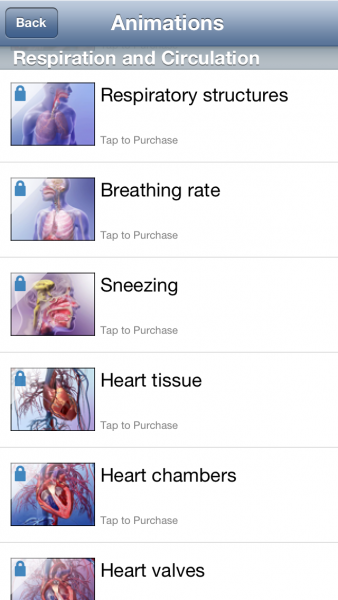 I wish to purchase one visible body app which will have these (1) gross, surface anatomy, anatomy of organs (2) muscle anatomy (origin, insertion, nerve supply) (3) physiology in detail. Will the ‘anatomy and physiology’ app be sufficient?